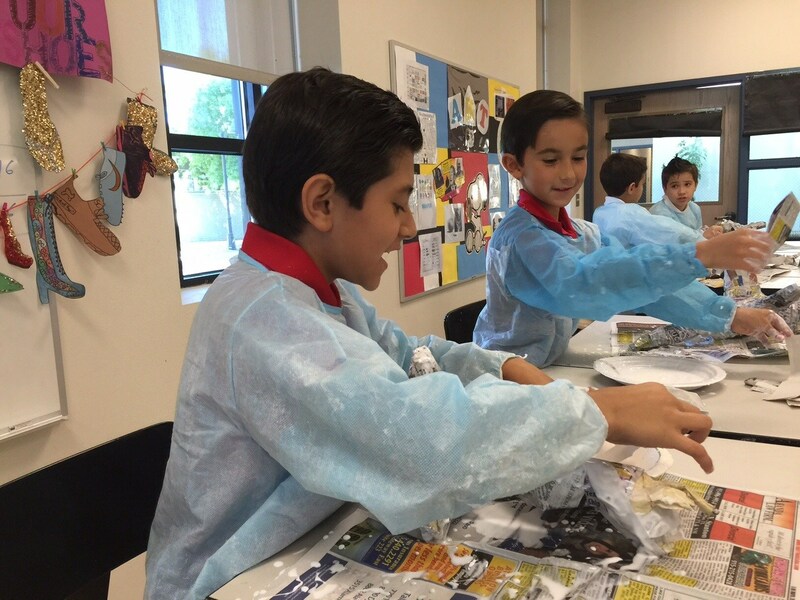 Students enjoy exploring and working with a variety of artistic mediums in activities involving painting, sculpting, ceramics, drawing, printmaking, photography working with textiles, paper mache, paint, inks, and clay. They are encouraged to develop visual narratives with their own personal expressive artistic language. There are no mistakes, only learning experiences in the art room. Art classes for students in prekindergarten through eighth grade are designed developmentally around the use of the Elements and Principles of Design, the building blocks for creating a work of art. Our talented art instructor models the importance of attention to process and the details of production. Rely on their perceptions of the environment, developed through increasing visual awareness and sensitivity to surroundings, memory, imagination, and life experiences as sources for creating artwork. Express their thoughts and ideas creatively while challenging their imagination. Analyze artistic styles and historical periods. Develop reflective thinking, disciplined effort, and problem solving skills. Develop respect for the traditions and contributions of diverse cultures in and around our borderland city. Students eagerly offer their best work for our annual Art Show and have opportunities to enter pieces in local art competitions.